Our bar focuses on the finest of drinks served in a lively, stylish and sociable environment. We stock an excellent selection of Yorkshire craft ales alongside a great choice of beers, lagers and ciders. We have a fantastic wine list featuring wines from all the key regions around the world, many by the glass, to tempt every palette. For those looking for that extra special treat we have a delightful selection of prosecco and quality champagnes. 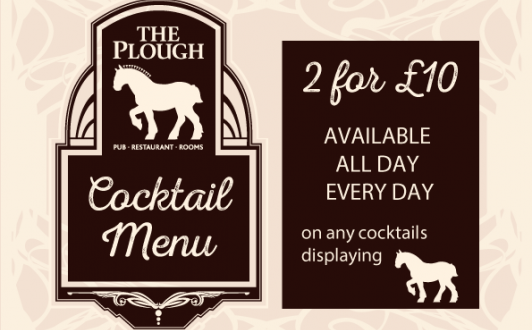 There’s also a huge selection of premium spirits and a fantastic choice of cocktails all to enjoy while dining or drinking in the comfortable and relaxed atmosphere of our bar, popular with both locals and visitors. Guest Ales subject to change.